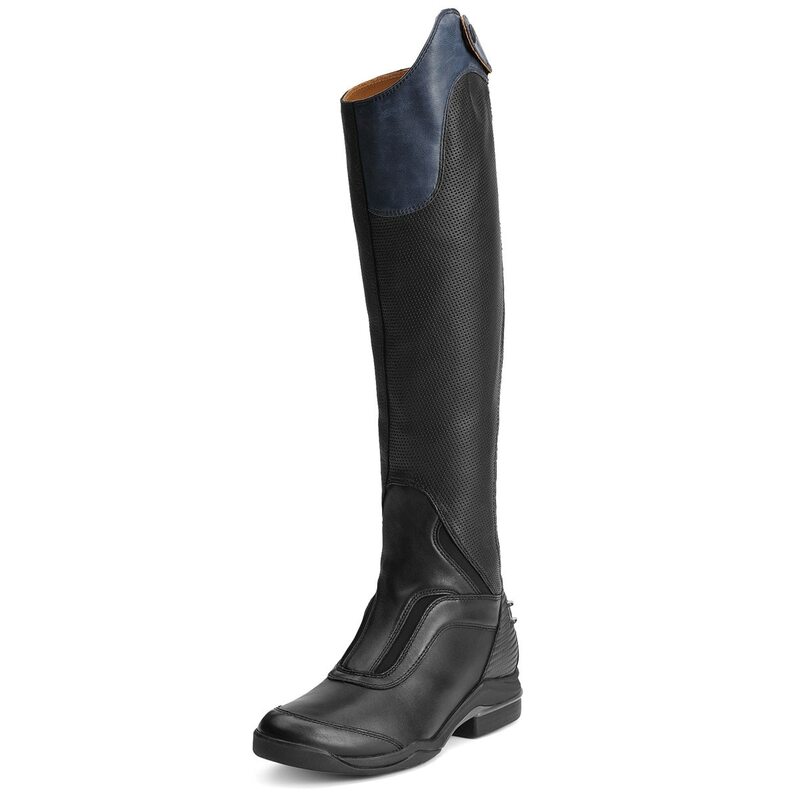 The Ariat V Sport Zip Tall Boot is the cornerstone of classic equestrian tradition and is designed for peak performance whether you’re in the show ring or schooling at home. 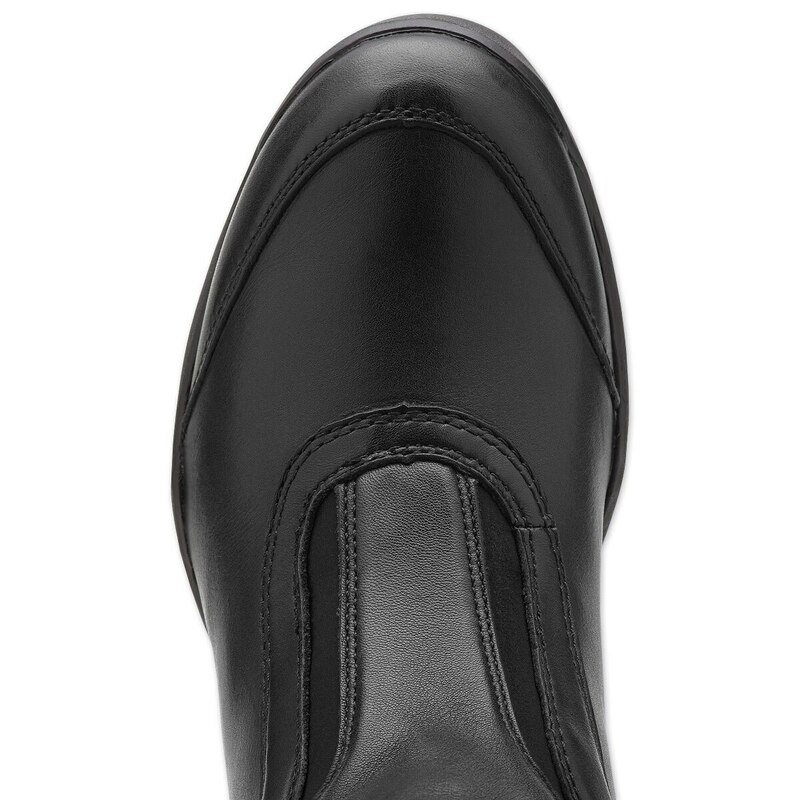 This full-grain leather boot has a contoured fit through the ankle and a high Spanish-cut topline that gives you a sleek, tailored look and elasticized panels for a customized fit. The Ariat V Sport Zip Tall Boot features Ariat’s ATS technology footbed that offers optimal stability and all-day comfort with a moisture-wicking lining to keep your feet dry and comfortable, a gel cushion footbed with a heel stabilizer for maximum shock absorption and support, and a specialized shank that provides three times the support of traditional boot shanks. 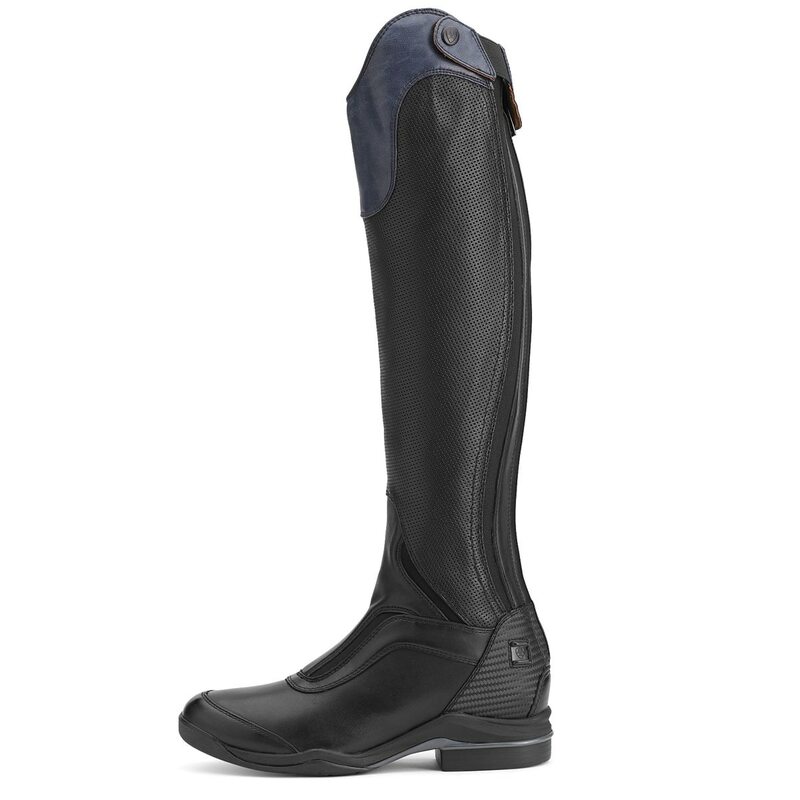 A tough Duratread® outsole finishes off this boot that is crafted to deliver equestrian excellence through advanced performance, fit, and design. 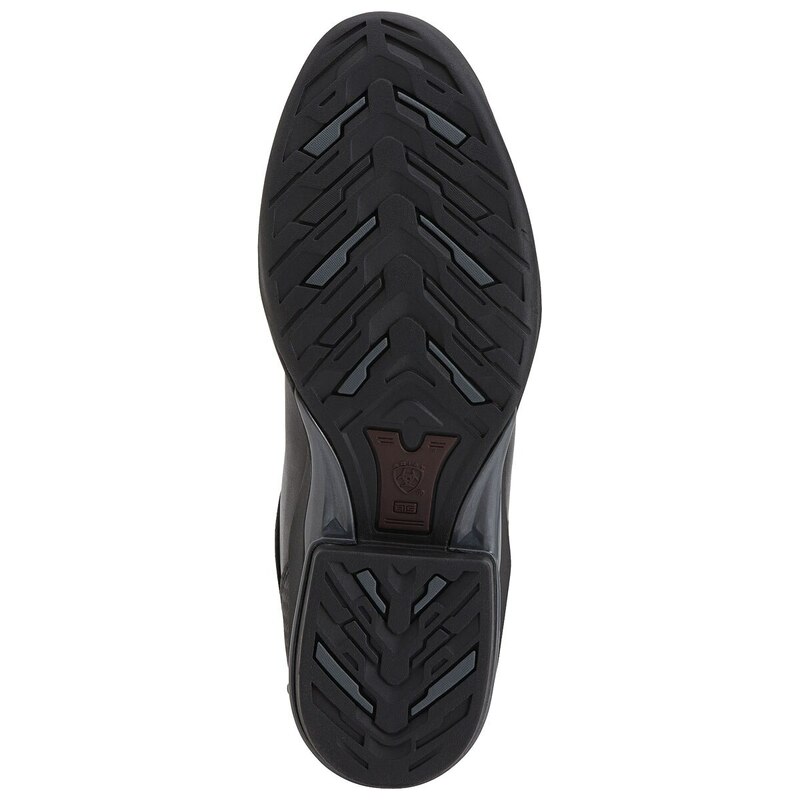 Ariat® V Sport Zip Tall Boot - Black is rated 4.5 out of 5 by 134. Rated 4 out of 5 by Ember from Best pair of boots in a long time! For a couple months now I’ve been keeping my eye on the market for a new pair of boots. I found these, however I wanted to keep looking to see if anything else came my way. 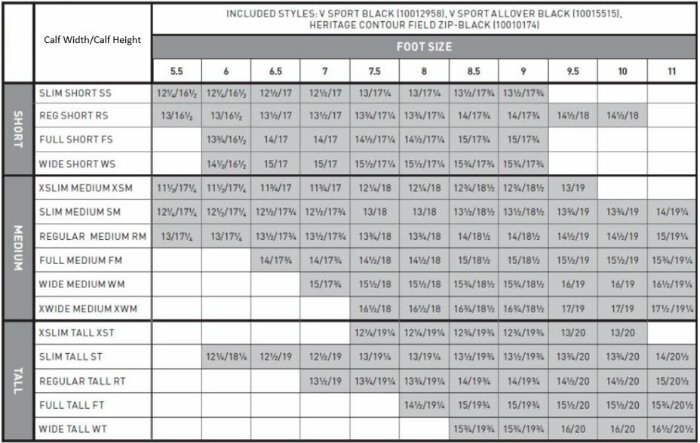 I have very specific measurements so it can be hard for me to find boots sometimes. I have a large foot (11), large muscly claves (wide-xwide) and a longer leg. Once I had scowerd the internet and my local tack store, I had found that these were the only boots I could find, that weren’t custom or too expensive, that could fit my boot needs. So, I went ahead and ordered them about three weeks ago. Now, I give them four stars not directly because of the boots themselves, but because of the payment process. I’ve orderd many things from Smartpak before and have never had this problem. It took me three rounds of ordering and canceling the order for the payment to finally go through without any problems. I tried calling customer care but whomever answered the phone was not helpful and said that I would have to get on a three-way-call with my bank to verify that I have my right credit card information and that i’m the one trying to purchase the item. However, the order finally went through without difficulty. I patiently awaited their arrival over the one and a half week shipping period. Yay!! They finally came, now to try them on. My right boot slipped on, no problem, little tight in the foot and calf but nothing that can’t be fixed from a good old fashioned break in. I try to put on the left boot but the zipper won’t budge at all at the bottom of the boot. Now, I had a little duel with this zipper for the next couple hours trying to get it over my ankle. (I ended up making my two pointer fingers bleed from trying to zip it, that’s my fault though!) I gave up for the day and decided to come back tomorrow and try and zip it up then. The next day I get up and I go to zip the right one up, perfect, i go to try the left one and it zips up perfectly fine! So now after about a week of stretching and breaking them in I have been able to fit both of them on over thick breeches. I got the black ones with the blue top and I absolutely love it! I have gotten many compliments at the barn and my trainer absolutely loves them! They have very soft leather which I love compared to my last pair of boots, Tredstep Donotellos, which have very thick and stiff leather. I can definitely tell these are gonna last me a long time! I’m very happy with them! Rated 4 out of 5 by Jennifer C from Great boot! I have ultra wide calves and super skinny ankles. The best boot that I ever had was the Ariat Volant with the front zip. Since those were discontinued when I needed new ones, I decided to give these a try. I really love them. 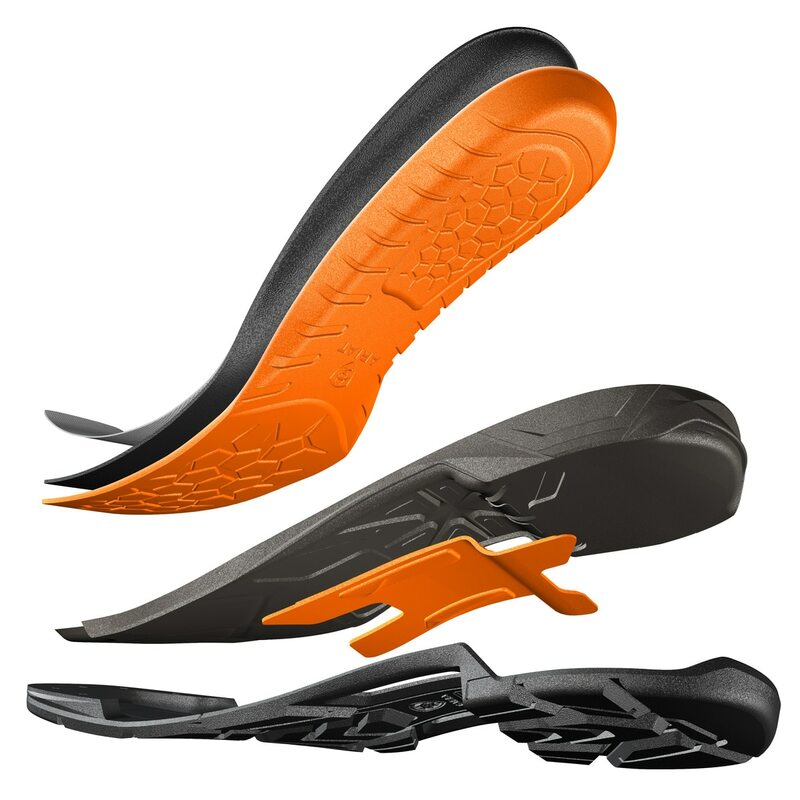 The foot bed fits perfectly, the leather is easy to take care of, and the calf size is excellent. The only problem that I have is that because my ankle is so much thinner than my calves, the zipper digs in really badly at the ankle. I could walk around in my Volants for days whereas these are uncomfortable for me to wear around the barn. The do not bother me at all while I ride so for now, I'll just bring a change of shoes to the barn. Rated 5 out of 5 by Happy rider from perfect fit I have been riding in these boots at least 4 days a week since I purchased them in October. They have been comfortable since day 1 and give the support that helps you really stay close to your tack and in touch with your horse. I normally wear a size 8 Ariat boot. After reading reviews, I ordered a slim short combo with that boot size. Initially the calf was a little snug, but it loosened up quickly and now is perfect. The length is also correct. I am 5'2" and have a long thigh and short calf. They seem to be wearing well and are easily cleaned. I put them on right before I ride and take them off immediately after. Rated 4 out of 5 by Mariposa from Nice fit in the ankle These boots are comfortable. However they are made in China! I am not happy to see that. I'm still debating on keeping them. The back zipper leather trim sticks out a bit which looks a bit off. The calf is a little big, but it fits everywhere else quite nicely. The height hopefully will drop a bit, as they are a wee bit too tall. The only reason I wouldn't recommend these is because they are made in China, find something else. Rated 5 out of 5 by Tori8 from SO comfy!! I bought these boots a little less than a month ago, and I can hardly fathom how amazing they are. They broke in after about the 4th/5th ride! They felt almost too comfy right out of the box( didn’t think that was possible). The leather is such good quality and stretched to the size of my foot nicely. My feet are wider, and I thought they would be too narrow, but they aren’t! I school in these and show in them! I got the blue top, and it’s not distracting at all, it’s nice and dark. The perforated leather isn’t a problem to clean either! They were nice to zip up and didn’t get stuck like other boot zippers tend to do. I’m 5’5” with slim, muscular legs, and I usually wear a 9.5 shoe, but I got the 9 regular height, medium width, and they’re perfect! The price was a bit much for me, but I figured I’d splurge for a pair of good quality boots, but then they ended up on sale when I got them! Rated 5 out of 5 by Draft girl from Gorgeous boots! I've been looking for a long timeto find a pair of tall boots that weren't quite as dressy as the standard and that had the versatility in sizes and these fit the bill! Rated 5 out of 5 by Java56 from Beautiful Boot! Ive waited for over a year to purchase this boot-they fit beautifully and I love the bit of blue at the top! Rated 5 out of 5 by Belle05 from Great Look, Super Comfortable I bought these boots about a month ago and they are definitely a step up from the Ariat Heritage Field Boots and not much higher of a price. Very easy to zip. I would recommend a half size down from your normal everyday shoe size as Ariat usually runs a 1/2 size big. Great spur keeper. Leather is soft. Barely any break-in time. Perfect for jumper/eventers probably a little too fashion forward for hunters. Rated 5 out of 5 by Lora from Surprisingly good fit! I bought these Ariats for everyday riding at home. Honestly I think they are more comfortable than my custom boots! They look good, feel good and are decent quality for the money. Hopefully they will hold up over time. Don't hesitate to try these!